STEMarts started in 2009 as a pilot STEAM program at Taos Academy with a small grant from Los Alamos National Laboratory. In 2012 STEMarts was contracted by 516 Arts to design and coordinate the Education Program Director for the ISEA2012 Machine Wilderness event in Albuquerque. Through this project STEMarts expanded to develop the ISEA2012 STEMArts Curriculum platform. In 2013 STEMarts was contracted by Los Alamos National Laboratory to apply the STEMarts approach to a STEM competition for their 70th anniversary and designed the Los Alamos STEM Challenge. These tools are still available online for free access. Currently the STEMarts Lab provides innovative sci-art and STEAM youth programming for The Paseo Festival and for TISA (Taos Integrated School of the Arts) in Taos New Mexico. 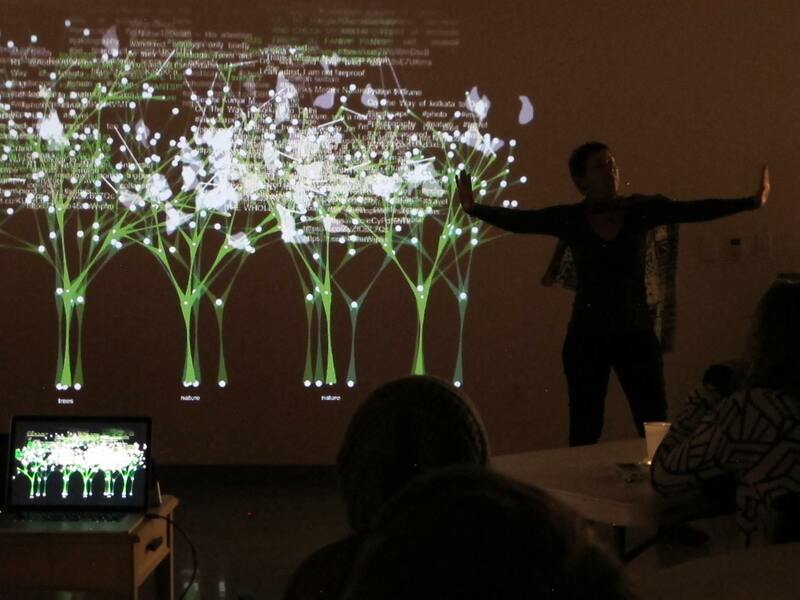 STEMarts LAB was founded by new media artist Agnes Chavez as a Research and Innovation platform for sci-art explorations applied to art and education (social practice). 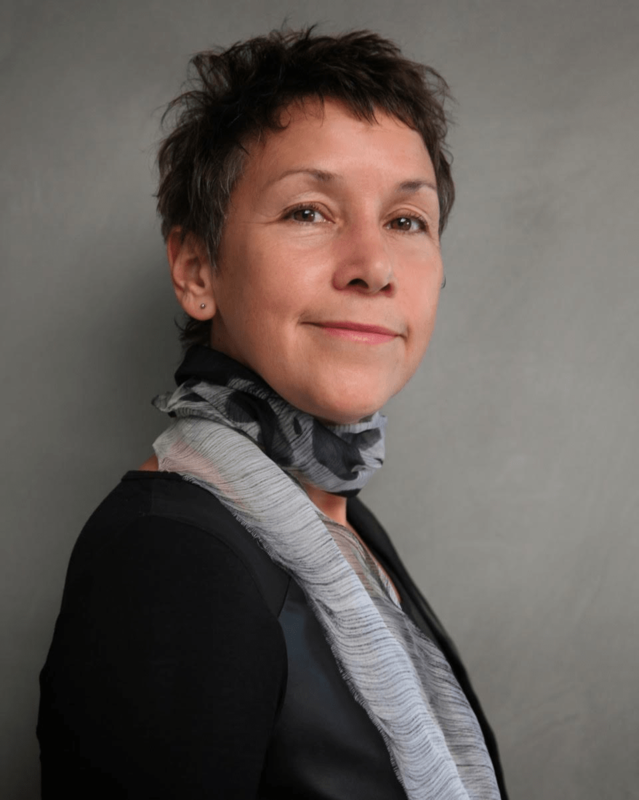 Agnes Chavez is an interdisciplinary artist, educator, and social entrepreneur. She is the founder and developer of the Sube Teach language thru Art, Music and Games program, now in its 20th year and serving over half a million children. In 2009 she founded the STEMArts Lab which partners with new media artists and schools to research and develop 21st century tools and learning opportunities as part of new media art festivals, school programs and community events. She has developed art-based curricula and STEAM programs for Scholastic, 516 Arts and Los Alamos National Laboratory. 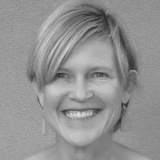 She collaborated with Anita McKeown in 2012 to create an online curriculum tool around the ISEA2012 electronic arts festival in 2012. She has been Co-Director of The PASEO outdoor participatory art festival in Taos New Mexico since 2014, and designs and manages the STEMarts youth program for the festival. In 2016 she was hired as STEAM coordinator for the Taos Integrated School of the Arts (TISA) where she designs programming for the STEAM Lab@TISA. She has won numerous awards for her sci-art projects including the renowned “Educational Innovation in the Americas” (INELAM) award in 2006, and the New Mexico Women in Technology Award in 2011. In her art, Chavez experiments with data visualization, sound and projection art to create participatory experiences that explore our relationship with nature and technology. In 2015 she was invited to the Havana Biennial to present the installation Origination Point, along with the STEMarts youth workshop, Projecting Particles. The opening was attended by Senator Tom Udall and a delegation of five US senators to support the US-Cuba relations. Her services include participatory art installations, program design and coordination, consulting and lectures to inspire and inform on sci-art and STEAM initiatives. Learn more. Museum Directors wanting to add a sci-art installation, presentation/panel or an innovative STEAM educational component to their museum programming. Science institutions wishing to integrate the arts as a way to communicate science through immersive and participatory experiences. Event coordinators looking to integrate sci-art or STEAM educational programming customized to their event. The STEMarts Lab designs and coordinates innovative sci-art installations and workshops as part of school and museum programming, art and science festivals and events. Our custom workshops provide opportunities for creative expression and innovation, collaboration and art for social practice. Students learn to create experiential and participatory art that has an innovative application of STEM (science. technology. engineering, math) and the arts. These experimental LAB sessions feature new media artists and interdisciplinary teams whose innovative practices and ‘ways of knowing’ offer a deeper and more meaningful understanding of STEM concepts and the arts. Students experiment and create work that then becomes part of a real-world event or project. They learn to be part of a professional collaboration and perform or install their creation along with their host artist or team. The STEMarts Labs bring 21st century communication and creation tools into the classroom and the community, with a special focus on under served populations and culturally responsive curricula. Through interdisciplinary collaborations we offer unique sci art installations and STEAM programming customized to your event or festival. Our participatory installations and workshops incorporate the latest technologies to explore the relationship between art, science, technology, and our connection to nature. We design experiences that focus on engagement through human interaction, social discourse and community outreach. If interested in any of these projects or to contract STEMarts Lab to design sci-art and STEAM installations and youth programming customized to diverse platforms and venues please email, learn@sube.com. The strength of STEMarts Lab is in its spirit of collaboration, our focus on building synergistic alliances, and our commitment to our core ethos. Our advisory team are individuals that embody this spirit within their own work and unique area of expertise. Their advise and contributions are essential to our success. 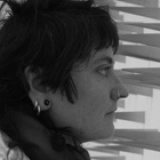 Anita McKeown Anita is an interdisciplinary artist, producer, curator and researcher, working across disciplines including film, audio and performance. Her work in the main is project-based, context-responsive and ecologically sensitive interventions that arise from extended relationships within a location. Marie Reyna is the founder and Director of the Oo Oo Nah Art Center at the Taos Pueblo in New Mexico for the past 25 years. She sees STEM and the arts as an integrated part of nature, culture and traditions. Ancient sites such as Chaco Canyon, were built with Ph.D levels of understanding in engineering, mathematics, astronomy, and solar and lunar cycles. The programming introduces students to the Native American history of science and technology. 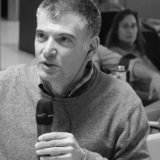 Dr. Steve Goldfarb is a physicist from the University of Melbourne, working on the ATLAS Experiment at CERN inGeneva Switzerland. He is active in education and out-reach, webmaster for the ATLAS public web pages, co-chair of the International Particle Physics Outreach Group, on-site coordinator of the REU Summer Student and Research Semester Abroad programs for American undergraduates at CERN, and advisory board member for Quarknet. 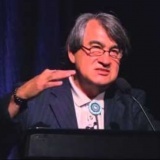 Dr. Greg Cajete is a Native American educator whose work is dedicated to honoring the foundations of indigenous knowledge in education. 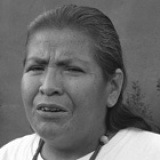 Dr. Cajete is a Tewa Indian from Santa Clara Pueblo, New Mexico. He has served as a New Mexico Humanities scholar in ethno botany of Northern New Mexico and as a member of the New Mexico Arts Commission. 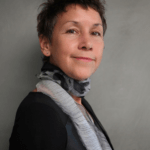 Dr. Cajete has authored five books including: Education,” (Kivaki Press, 1994); “Ignite the Sparkle: An Indigenous ScienceEducation Curriculum Model”, (Kivaki Press, 1999); “Spirit of the Game: Indigenous Wellsprings (2004) ,” “A People’s“NativeScience: Natural Laws of Interdependence” (ClearlightPublishers, 1999 and 2000). Andrea Polli is an environmental artist working at the intersection of art, science and technology. Her interdisciplinary research has been presented as public artworks, media installations, community projects, performances, broadcasts, mobile and geolocative media, publications, and through the curation and organization of public exhibitions and events. She creates artworks designed to raise awareness of environmental issues. More than 25 years of professional experience in education and the arts, with more than fifteen years of demonstrated success in leadership and organizing, building successful programs with a focus on partnership building, project oversight, project management of capital projects, and resource management. Lifelong commitment to community building, mentorship, education, creativity, and optimism. Extensive experience with local, state, and national projects which has resulted in a strong personal network of artists, professionals, and organizations for project development.